A BOWIE CELEBRATION: The David Bowie Alumni Tour featuring Mike Garson and fellow key alumni musicians of David Bowie’s bands from across the decades has announced a 32-date North American winter tour for 2019. 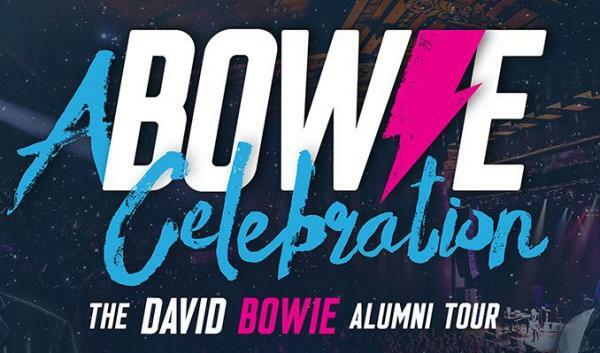 A BOWIE CELEBRATION features alumni band members Mike Garson, Earl Slick, Gerry Leonard and Carmine Rojas along with world-class vocalists such as Bernard Fowler and Corey Glover, among others, and drummer Lee John performing a mix of Bowie’s hits and deep-cuts. Pre-sale tickets for the newly announced shows are available starting tomorrow (Tuesday, September 11) through Thursday, September 13 with the general on-sale commencing this Friday, September 14 at 10am local time. Kicking off February 6 in Mesa, AZ, A BOWIE CELEBRATION then stops in Los Angeles February 7 at the Orpheum Theatre before making its way across the country and into Canada. The critically acclaimed show will stop in San Francisco, Seattle, Vancouver, Denver, Chicago, Detroit, Cleveland, Toronto, Montreal, Boston, New York City (March 5 at Irving Plaza), Philadelphia, Louisville, Nashville, Fort Lauderdale, Houston, and Austin, among many other cities, before wrapping March 22 in Dallas. See below for full list of North American tour dates and venues and visit www.abowiecelebration.com for ticket information. Watch the show’s trailer here. Keyboardist and band leader Mike Garson, the longest-standing member of Bowie’s bands, performed with David at his first and last concerts in the United States as well as 1,000 concerts together around the globe in between. The band also features legendary guitarist Earl Slick, who worked on landmark Bowie albums such as Diamond Dogs, Young Americans and Reality; Bowie guitarist and band leader Gerry Leonard (A Reality Tour); and Bowie’s Let’s Dance/Serious Moonlight Tour bassist Carmine Rojas. Between them, they have over 30 years experience of recording, writing and playing live with Bowie. Prior to the 2019 full trek, which includes a 17-date European tour from January 9 through February 1, A BOWIE CELEBRATION has a limited run of West Coast tour dates taking place this month, September 26-30, stopping in Ventura, Riverside, San Diego, Reno and Saratoga. The San Diego show will feature Emmy and Golden Globe-nominated actress (“Westworld”) and singer (Rebel and A Basketcase) Evan Rachel Wood re-joining the all-star band to sing a variety of songs. Wood sat in earlier this year at the Los Angeles and Atlanta shows and was seen on “The Tonight Show Starring Jimmy Fallon” in April raving about the tour. As Wood explained to Fallon, “It’s not a cover band, it’s the band! It’s the actual band, so when you’re there it sounds as close as you’re going to get to Bowie.” Other special guests who joined the 2018 run included Perry Farrell, Joe Sumner, Fantastic Negrito, Mark Plati, Mr Hudson, David Liebman, Gaby Moreno and Sass Jordan.